Where is the Houlakia Boutique Spa Located? 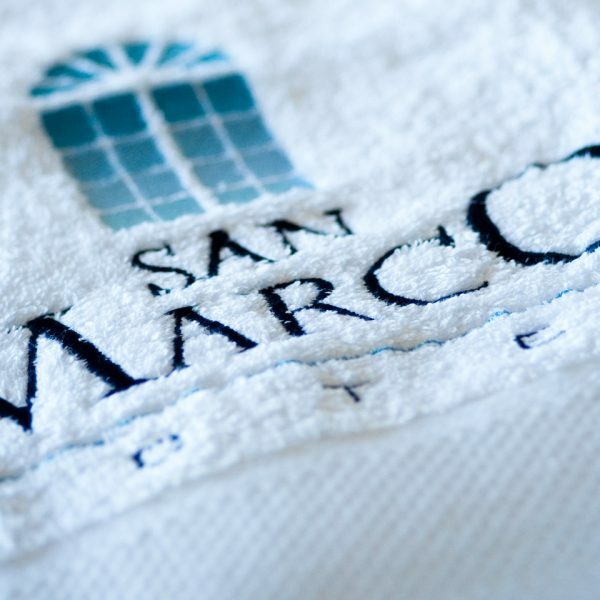 The Mykonos Boutique Spa at the San Marco Hotel & Villas is situated under reception at the same level as Pythari restaurant & the outdoor pool. The spa is open by appointment. Please note, in the interest of all our guests, the Wellness Center area is a non-smoking area, and please refrain from using mobile phones. Are the Boutique Spa Treatments available to everyone? Unfortunately, we do not provide any treatments to guests who are under 14 years’ old, have high blood pressure, a heart condition or any serious health condition. Alcohol is not allowed in the Wellness Center and is not recommended before or after treatment. What if I need to cancel or change my Spa reservation? Please kindly allow 8 hours notice prior to your scheduled appointment time, so that we may arrange the rescheduling of your treatment. Cancellations and/or changes made within 8 hours will be subject to a charge of 30 percent of the treatment price. No notification of cancellation will result in a full charge of the treatment price. 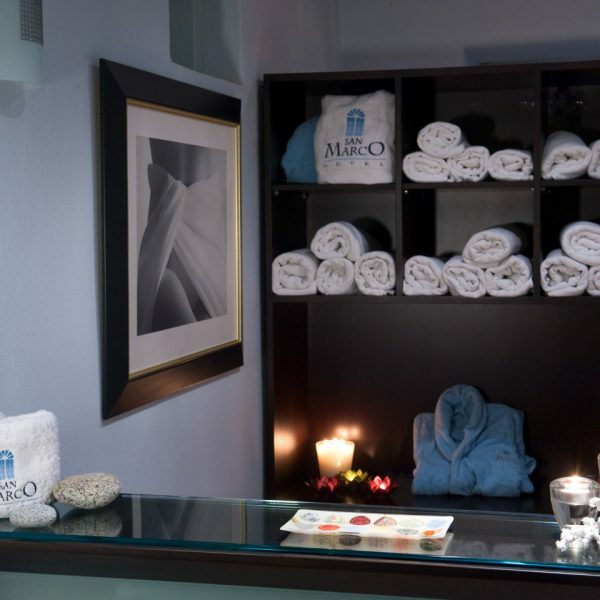 Arrive at least 10 minutes prior to your scheduled appointment to allow sufficient time to prepare, relax and unwind and enjoy the tranquility of our wellness area. Late arrivals will unfortunately not guarantee a full treatment time, as this would disturb the following guest’s treatment. Wear whatever is most comfortable, swimming suits are recommended. You may change in the Spa. For the gym, a T-shirt or top, shorts and athletic shoes are required. Should men be shaved before a Spa facial? It is recommended you leave your valuables in the safe provided in your guest room. The Hotel does not assume liability for any valuables left in the wellness area. Discuss openly your likes, dislikes, concerns, questions or areas of focus with your therapist before and during treatment. 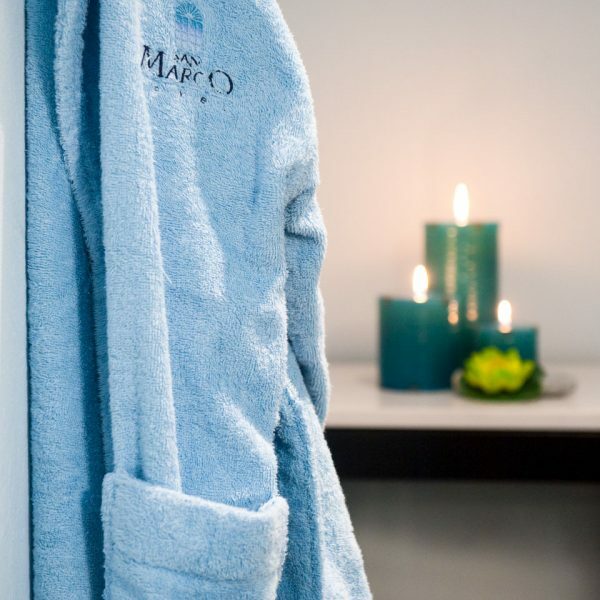 Kindly inform the therapists of any pre-existing medical condition prior to booking your spa treatments, as some treatments may be contra-indicated to certain conditions. The room temperature, lighting and amount of conversation will all add to your experience. It is preferably to pay your therapist directly after the completion of your treatment. If this is not possible for any reason we shall add the charge to your Hotel bill. A service charge or gratuity is not necessary but is of course appreciated and left at your discretion as a reflection of service quality. The hotel management reserves the right to change treatments, services, packages and pricing without notice.